4/28/09 -- BATH, Maine. 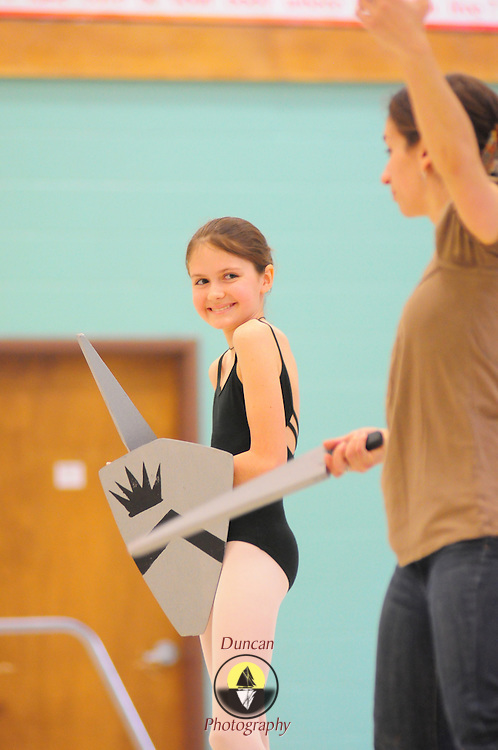 Adele Fisk, 11, shares a smile with Ballet director, Jessica Holloway while performing a section of "Enora and the Dragon" to students at Dike Newell Elementary on Tuesday morning. The Ballet School / Maine Coastal Youth Ballet will present "Enora" , an original piece of choreography by Holloway, at Morse High School's Montgomery Theater on May 9 & 10. For more information on the Ballet visit: www.theballetschool.com. Photo by Roger S. Duncan.